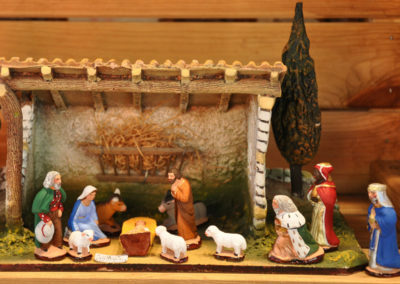 Doing the crib is an important part of family life during Christmas in Provence. 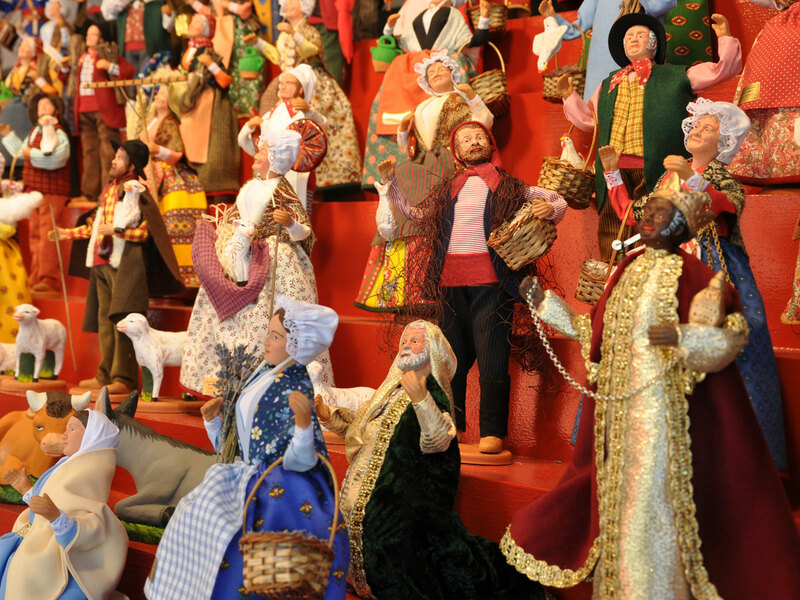 It is, for example, a time when santons are transmitted from father to son. Clément, a 28-year-old Greeter, has more than a hundred of them on his own. 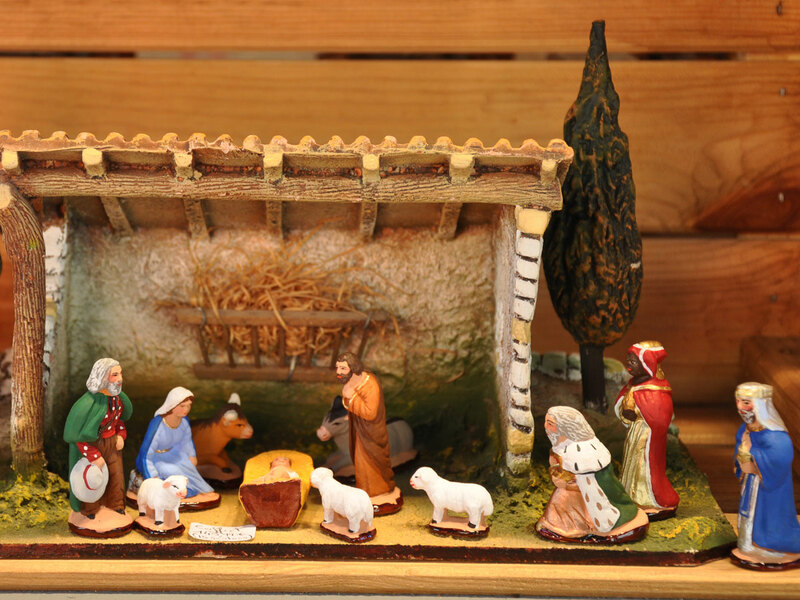 They were given to him year after year by his grandfather! 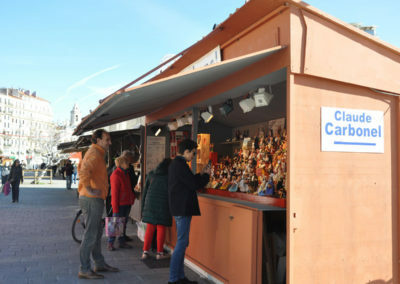 From the end of November to the beginning of January, since 1803, one of the largest Provencal Christmas markets has been held in the Old Port of Marseille. 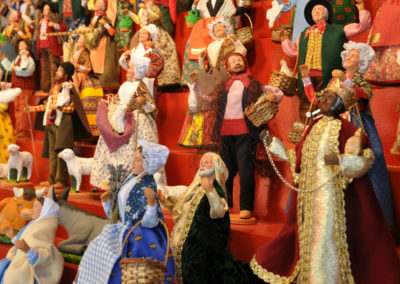 It is a beautiful moment of strolls for the Marseille-Provence Greeters who delight their guests with their favorite colorful figurines: nearly 40 santon makers exhibit their creations at the santons fair, thus testifying to the tradition of the local people. For Clément , emotion is at its height in front of the chalet Carbonel, his entire collection is signed by this House, labelled “Entreprise du Patrimoine Vivant”. Today the young Nicolas Carbonel, has taken over the craft tradition started 4 generations ago! 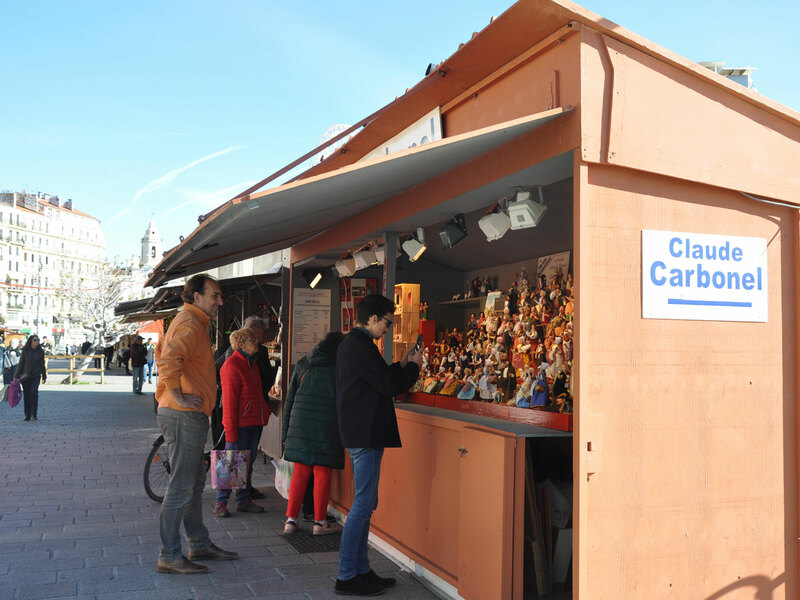 The walk is an opportunity for Clément to complete his collection with a new creation entirely moulded and decorated by hand: 6 cm nativity scene santons, large 18 cm dressed santons,… this year, it is the creation “La Femme au Savon de Marseille” that wins his enthusiasm! 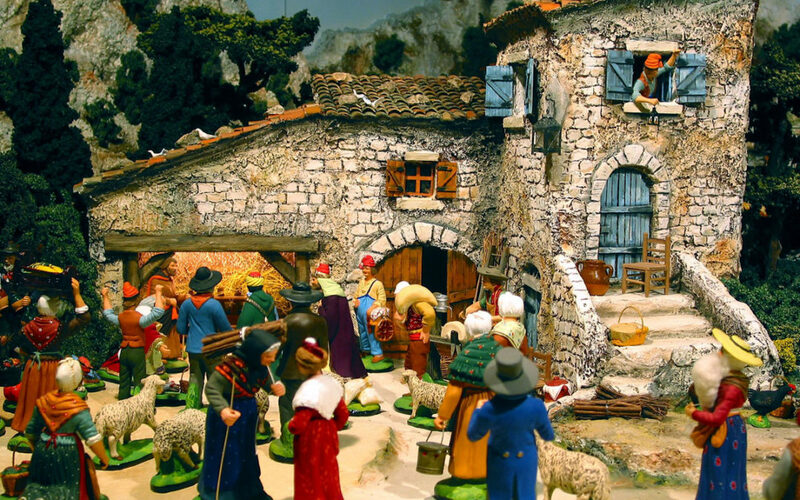 The Marseille-Provence Greeters are proud to share with you the passion that drives them for the popular art of the santon, just like the art that drives them in their Greeters clothes, a simple, sincere and authentic art, … long live the artists ! 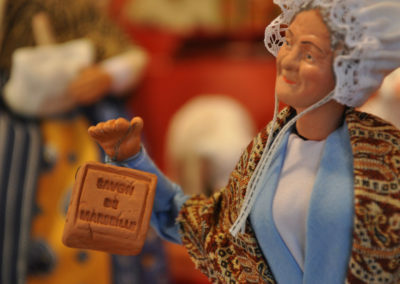 I have been collecting santons since childhood. 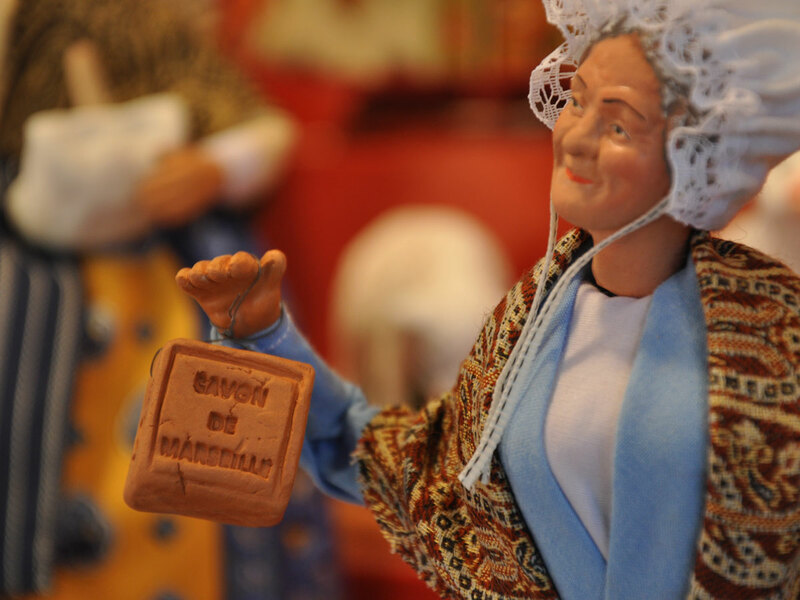 During my walks I like to introduce visitors to this Provençal tradition.